Following a reasonably smooth introduction of urban hens into Edmonton, the city now faces something of a chicken-and-egg dilemma on whether — and how — the program should be expanded. Since the program was introduced as a pilot project in late 2014, it has grown from 19 backyard chicken coops to the current cap of 50 licensed hen locations. As of March 20, there were 45 active hen operations in Edmonton and 14 applicants for the remaining five licences. 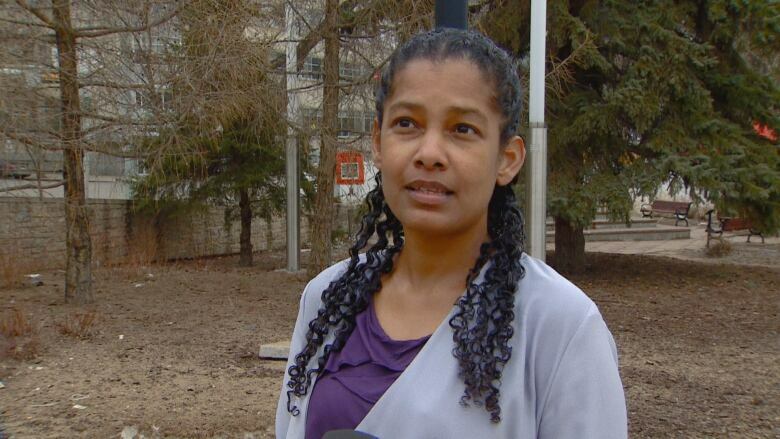 Allowing a chicken in every yard — as long as the coop requirements have been properly met — is a great idea, according to the Edmonton Food Council's Kimlin Metivier, who cites numerous benefits, not the least of which is fresh eggs. "You contribute to the local food system. You get the opportunity to teach children where their food comes from. Reduce the environmental footprint because it reduces the distance food travels," Metivier said. "The waste can be used as fertilizer ... and also, even the hens themselves are very fun and entertaining." The question now, according to a new report prepared for city councillors, is whether the program should grow and, if so, how to avoid creating too much new work for city staff. The report will be reviewed by the community services committee on April 10. It says one option would be doubling the current cap to 100 approved sites with a small staff increase to deal with initial permitting, inspection and compliance efforts. Another possibility would be to lift the cap altogether and move to a "purely complaints-driven process as it relates to program deficiencies," the report says. Metivier is encouraged that the city will consider options for expanding the program. She said that since the pilot program was launched, the city has worked hard to improve the inspection and monitoring processes. The Edmonton Food Council and the River City Chicken Collective both support expanding the program with continued monitoring, says the report. "People learn more about where their food comes from," said Margaret Fisher, a collective member who was among the original group of hen owners in 2014. "They learn how important it is to care for an animal properly in order to obtain food. It's a huge bonus and a productive means of getting rid of food scraps." Complaints about urban chickens have typically been around concerns about noise, odour or yard cleanliness, the report says. There were six complaints about 18 sites in 2016, 12 complaints about 50 sites in 2017 and 18 complaints about 45 sites in 2018. We know that these chickens are not raised in a factory, in a cage, and they're local. Since 2016, the city has done 101 inspections. Five sites failed to meet permit conditions. Four sites were issued notices to bring the coops up to standard, and two were found to have avian diseases. Overall, the report says, the majority of coops are well-maintained. "Hens are typically very quiet," Fisher said. "One of the neighbours thought that we got rid of them because he hadn't heard them for so long. "The neighbours are happy to have them because they get eggs every once in awhile. It's much easier to live beside someone who has hens then a barking dog." Fisher, who teaches a class for newcomers to the urban hen program, said it's important for hen owners to be responsible and keep the coops clean. Mike Dickey has also been part of the program since the pilot launched in 2014. He said his five hens help teach his children about local food systems and come with benefits no other pet could offer. "It teaches us and it teaches the city that you don't necessarily have to go to the store for your food all the time. We know that these chickens are not raised in a factory, in a cage, and they're local," Dickey said. Dickey's two daughters, Claire and Noelle, echo their dad's sentiments. 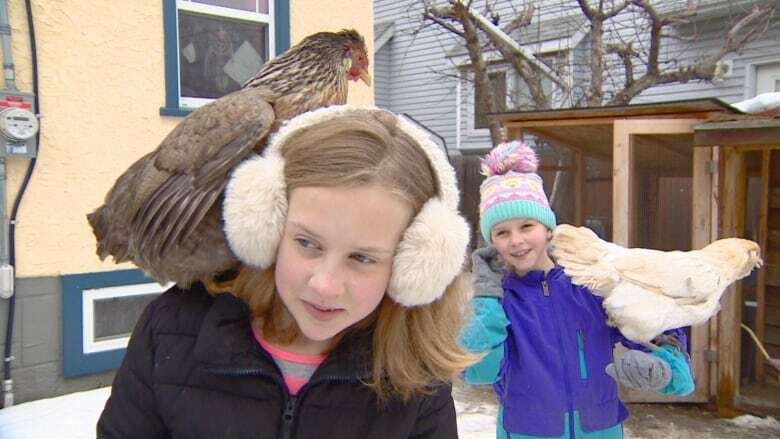 "I think chickens make great pets, they really docile and they're not that noisy," Claire said. "They're not worse than a dog. They're kind of all bark and no bite. "Yeah, and there's fresh eggs, too."